Avenger AG® Burndown Herbicide is a non-selective, post-emergent organic herbicide that safely kills weeds, grasses and broadleaves. The active ingredient d-limonene (citrus oil) naturally strips away the waxy plant cuticle, causing it to desiccate & die. When tested against herbicides that contain, vinegar (acetic acid), citric acid and essential oils, Avenger AG Burndown Herbicide is more effective with quicker results. It is non-toxic and can be used in areas near to people, pets and wildlife. Crop and Non-Crop Registration. OMRI® Listed and WSDA Reg. Material. 5 Gallon Pail for large scale applications. Avenger AG Burndown Herbicide for control of Grasses and Broadleaf Weeds (both Annual and Perennial) in Crop and Non-Crop Areas. For best performance, complete coverage of target weeds is necessary. The product does not translocate. It will affect only those portions of plants that are coated with the spray solution. Spray until thoroughly wet. For best results: Spray when ambient high temperatures are expected above 50ºF and lows above freezing. On cooler days, spray during the warmest part of the day. Used in combination with any other products, refer to the respective product labels for rates and methods of application, proper timing, restrictions and precautions. If the compatibility with another product is not known, a jar test or physical compatibility study should be conducted before tank mixtures are made. Pesticide Storage: store in a cool, dry place and in such a manner to prevent cross contamination with other pesticides, fertilizers, food and feed. Store in original container and out of the reach of children, preferably in a locked storage area. What is Avenger AG Burndown Herbicide? Avenger AG Burndown Herbicide is an organic, burndown herbicide that is post-emergence, fast-acting and non-selective. How does Avenger AG Burndown Herbicide work? Avenger AG Burndown Herbicide contains d-limonene, or citrus oil extract, a powerful, natural degreasing agent that strips away the waxy cuticle from weeds’ leaves, causing fast wilting (necrosis), dehydration and death. What will Avenger AG Burndown Herbicide control? Avenger AG Burndown Herbicide controls most annual and perennial weeds, both grasses and broadleaves. It is non-selective, and should not be sprayed on desirable plants as they will be damaged. Avenger AG Burndown Herbicide is a fast-acting, post-emergence herbicide for use on weeds that already exist. It will not control weeds that have yet to germinate. Where can I use Avenger AG Burndown Herbicide? Avenger AG Burndown Herbicide is EPA registered for use in all crops, as well as control of weeds in non-crop areas such as borders, around mature trees and ornamentals, around buildings, in greenhouses, industrial sites, nurseries, roadsides, etc. After I spray Avenger AG, how soon can I rotary till and plant? How is Avenger AG Burndown Herbicide packaged? 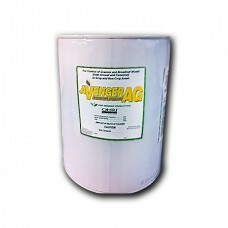 Avenger AG Burndown Herbicide is available in 1 Gallon & 5 Gallon pails and 55 Gallon Drums. See Label for Complete Application Instructions. For general purpose broadcast applications, use product at a ratio of 1 part Avenger AG Burndown Herbicide into 6 parts of water (14%). What water volume per acre should I use? For best performance complete coverage of target weeds is necessary. The volume required per acre will depend on density and maturity of weeds. At least 60 gals of water per acre is recommended to insure adequate coverage. When do I apply Avenger AG Burndown Herbicide? It is best to apply when weeds are “small”, below 6 inches. See label for complete instructions. Can I apply Avenger AG Burndown Herbicide by air or irrigation pipes? Who is using Avenger AG Burndown Herbicide? 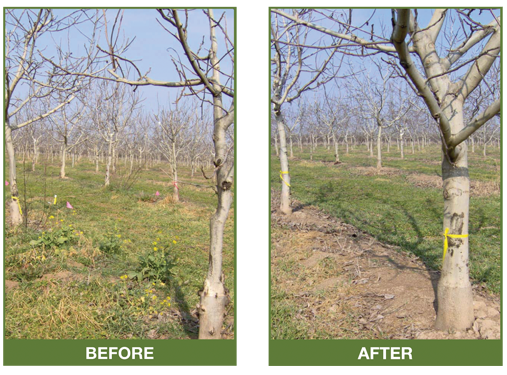 Organic farmers across the country are successfully using Avenger AG Burndown Herbicide to kill a variety of grasses and broadleaf weeds in crops such as tree fruit, grapes, berries and vegetables. Is Avenger AG Burndown Herbicide registered for organic use? Yes, Avenger AG Burndown Herbicide is NOP compliant (National Organic Program) and OMRI® listed. Either hollow cone or flat fan nozzles can be used to apply Avenger AG Burndown Herbicide. Match the nozzle size necessary to apply the proper amount of product at low to moderate pressures while avoiding excessive pressures that result in small droplets that are prone to drift. When spraying around desirable plants, make sure and always use a sprayer hood to better control the spray pattern and help prevent spray droplets from touching desirable plant foliage. Avenger AG Burndown Herbicide works best at higher pHs, but 6-10 is fine. If I apply Avenger AG Burndown Herbicide to control the weeds beneath my fruit trees or vines is that a broadcast treatment or a spot treatment? Applying Avenger AG Burndown Herbicide as a band application is considered a spot treatment and is allowed on both fruiting and non-fruiting plants. Be careful to ensure that the application does not come into contact with desirable foliage. Is a spreader sticker required? Avenger AG Burndown Herbicide is formulated as an emulsifiable concentrated liquid which already contains surfactants. 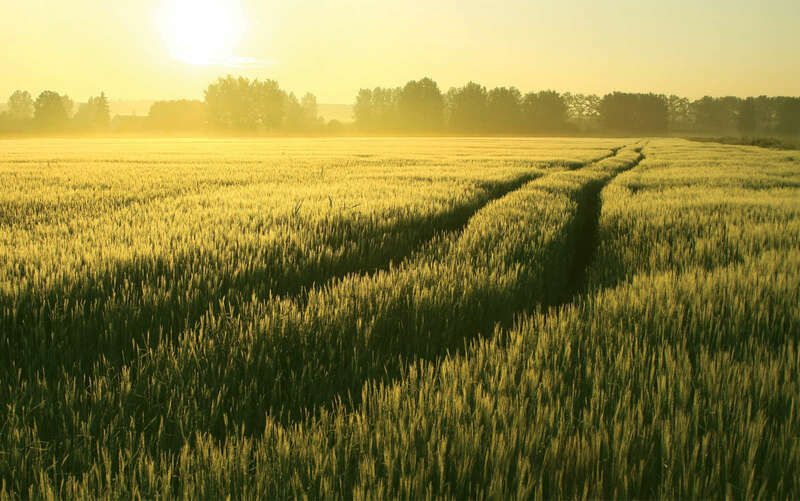 However, you may see faster or better activity with the addition of an adjuvant that improves spreading, sticking or penetration of the leaf surface. If rain is expected within 1 to 2 hours, or if windy conditions exist, do not apply. Also allow heavy dew to evaporate prior to Avenger AG Burndown Herbicide applications. How does Avenger AG Burndown Herbicide effect the environment? Avenger AG Burndown Herbicide is highly biodegradable and results in no ground water contamination or residue. (US FDA classifies limonene as GRAS, essentially no measurable toxicity. The EPA states limonene is “practically non-toxic to birds, fish and mammals” and is highly biodegradable).